Culturally Wrocław has grown into one of the most exciting cities in Poland. 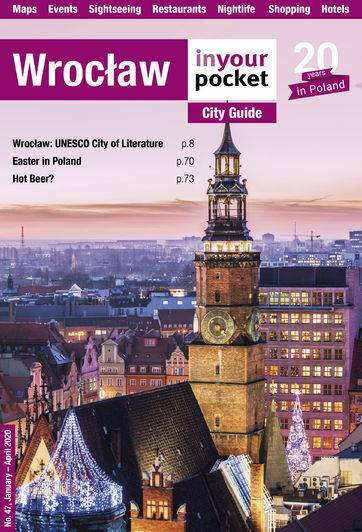 This was emphasised when it received the nod as European Capital of Culture 2016, a title which no other Polish city except for Krakow (back in 2000) had previously held. With the new National Forum of Music, an esteemed opera, puppet, pantomime, and song theatre troupes, a clutch of great museums and galleries, and a festival calendar luring more high-profile international acts each year, Wrocław has something to offer everyone. The city's best contemporary art is on display in Galeria Awangarda, great live music can regularly be heard in Firlej, Eter, and Vertigo music clubs, and the Nowe Horyzonty Cinema is one of the best in PL. To see what's on in Wrocław, check out our regularly updated Events Calendar.